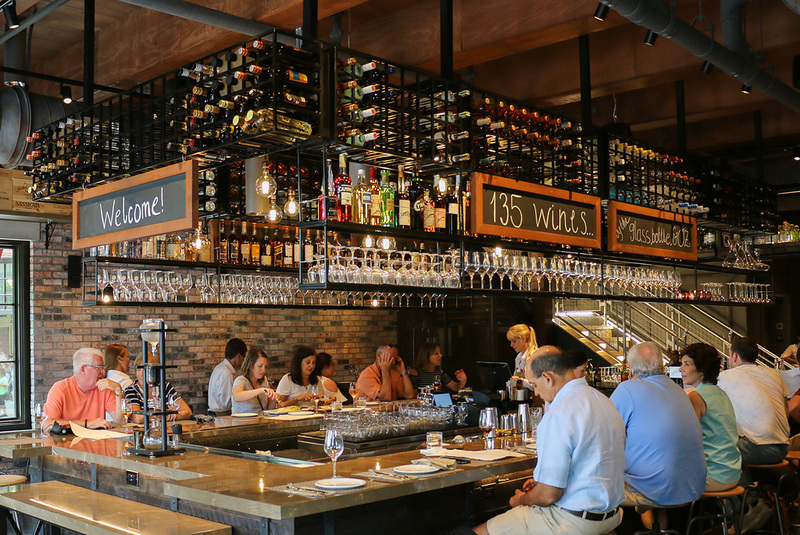 An estate-style wine bar offering shareable small plates and more than 100 wine selections from acclaimed wineries and up-and-coming regions — handpicked by Master Sommelier George Miliotes. 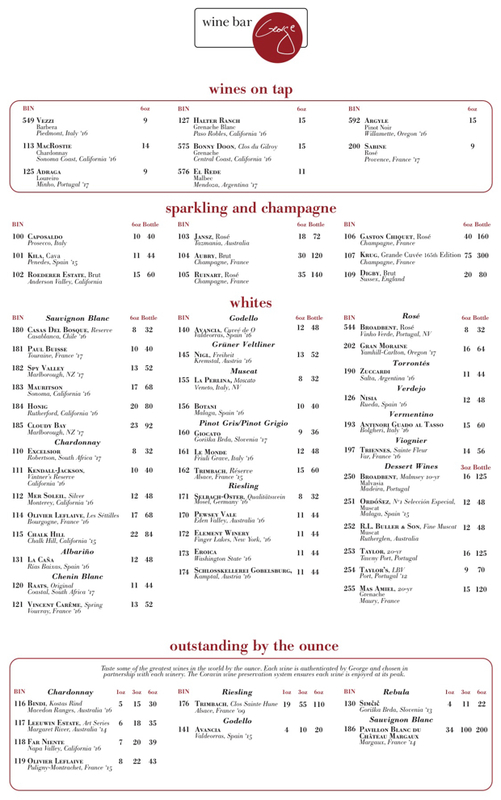 Beginning on March 30, 2019, Wine Bar George will serve a weekend brunch on Saturdays and Sundays from 11:00 a.m. - 3:00 p.m. 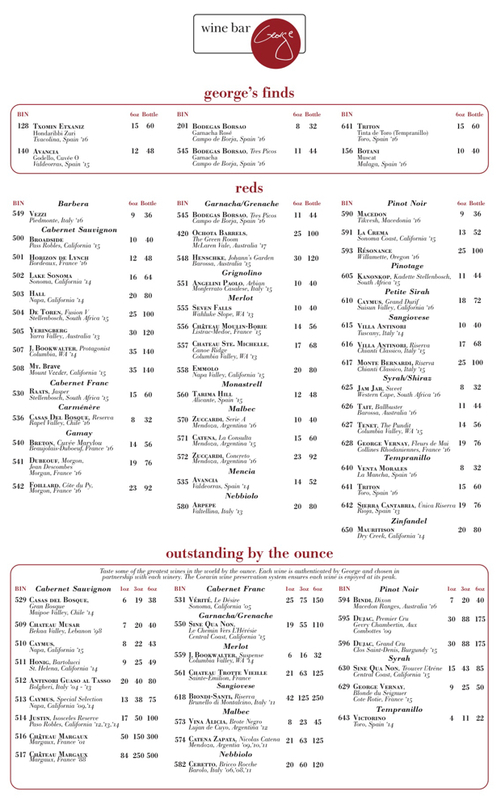 Menu discrepancies or corrections about Wine Bar George? Let us know!